Death was everywhere in 1800s London. In the early decades one in two children died before the age of five. Cemeteries were bursting. Corpses were exhumed so more bodies could be stacked into graves and buried in the same spot. a series of experiments that led to cures for many of the world’s ills. 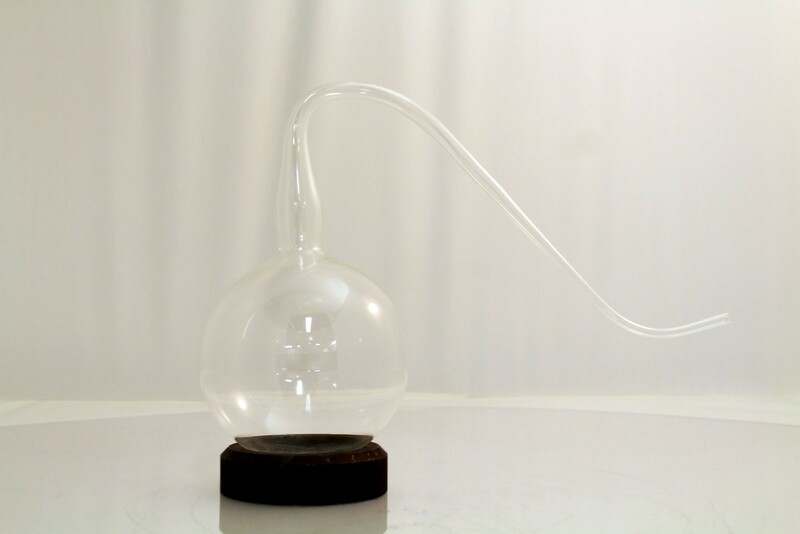 Replica of swan-necked flask, Eric Goldschmidt, Corning, NY, 2016. This grim picture was painted in part by the Industrial Age. The era of iron and steam barreled across Europe bringing technological wonders to the city along with throngs of people migrating from farm villages to work in factories and mills. Between 1800 and 1860 the population of London tripled. Unprepared for such a boom, the city found itself in the middle of a public health crisis. In row after row of tenement buildings, two-room apartments housed as many as a dozen people. Along with the population explosion came a rise in prostitution, garbage, and epidemic diseases like syphilis, smallpox, tuberculosis, and cholera. Human waste made matters even worse. Londoners regularly dumped their chamber pots from upper story windows onto sidewalks below, filling the streets with solid and liquid waste. Those who could afford water closets often had them emptied directly below their homes into sludgy cesspits. Much of the refuse ended up in neighborhood wells or the River Thames, both primary water sources for the city. Londoners drank and ate their own filth, which was a breeding ground for killers like cholera. 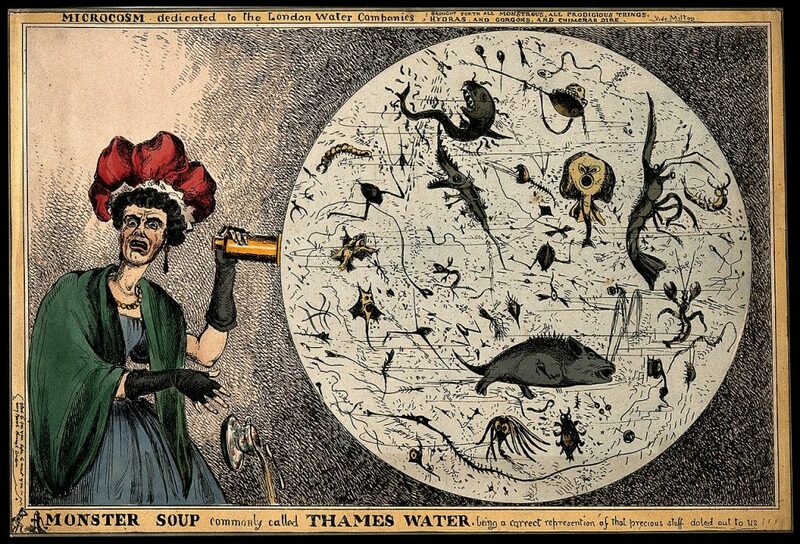 The well-dressed woman portrayed in this English cartoon from the 1800s just peered through a microscope into a drop of water from the River Thames. Her tumbling teacup and twisted face express her disgust as she realizes what horrors were probably swimming in her drink. “Monster Soup commonly called Thames Water,” William Heath, British. Londoners would have been horrified if they’d known their waste was one of the things making them sick, however, most believed disease was spread by “miasma,” or stagnant, noxious air. They thought if you could smell it, it was dangerous, and large swaths of London stank. No wonder Dracula, Bram Stoker’s 19th century vampire, was said to exude a rank and putrid odor and at times appeared as a fog. Film still from Dracula (1931), Directed by Tod Browning. So how could a simple bottle help change such a horrific scene? In 1859 French chemist Louis Pasteur set out to disprove “miasma theory” and put to rest the centuries-old notion that smells killed. Pasteur believed that floating dust particles in the air, not the smell of the air itself, were the source of the problem. Dust carried bacteria, and when they landed in liquid or on food they could make anyone who consumed them sick. The distinction between “miasma theory” and Pasteur’s “germ theory” was important since miasmatists were often lulled into a false sense of security by the lack of foul smells in places where diseases lurked. 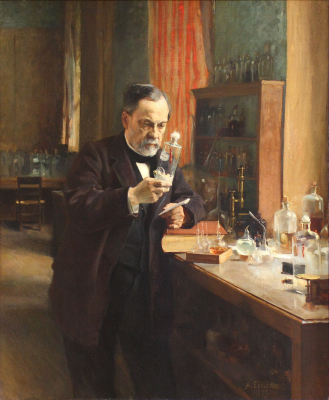 “Portrait of Louis Pasteur”, Albert Edelfelt, Paris, France, 1885. Pasteur heated bacteria-filled broth in a regular straight-necked glass flask. Afterward, he could see with his microscope that the heat had killed the microorganisms in the liquid. The bottle and the heated liquid inside were covered with a stopper. Pasteur later inspected the liquid under his microscope and found it was still free of microorganisms. Once the stopper was removed, it wasn’t long before the liquid was once again crowded with microbes. Pasteur’s critics dismissed “germ theory” along with the notion that dust carried microbes in the air. The miasmatists argued that the stopper blocked oxygen from the bottle preventing life from springing forth inside. Unfazed, Pasteur invented the swan-necked flask. The new flask started off with a straight neck like the one he used before. Once again, broth was put inside, but this time, before the broth was heated, a torch was used to soften the neck of the flask until it could be drawn out into the long S-shaped curve we see in the photo above. The broth in the bottle was heated to kill the microbes and then left open to the air so oxygen could reach the microbe-free liquid. Dust particles with their piggybacking bacteria landed in the bottom of the neck’s curve where they were trapped. The microbes were unable to make their way up the incline and into the liquid. 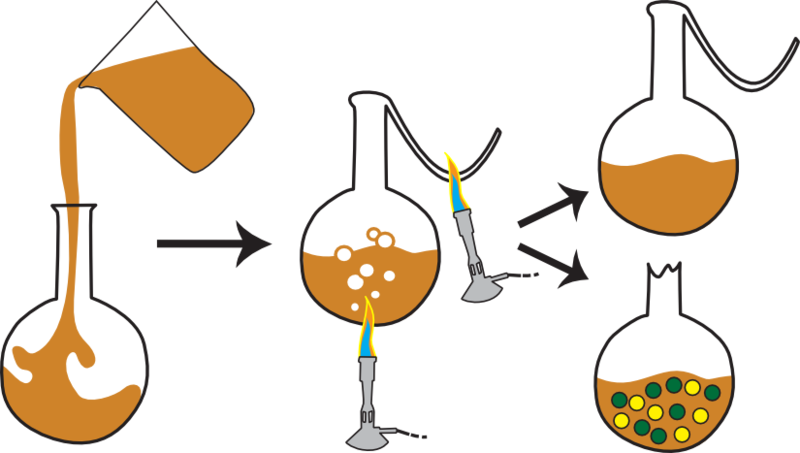 Pasteur used his microscope to show that as long as the liquid in the swan-necked flask wasn’t tipped enough to make contact with the particles in the dip of the neck or broken at the top so that particles could fall directly into the broth, the liquid stayed bacteria-free. Pasteur had proven that dangerous bacteria could be spread on particles in the air, on food or in water. As the new information spread, public health efforts in Europe shifted from suppressing smells to identifying disease-causing bacteria. Before long London’s water and sanitation were improved so that drinking water supplies were kept free from bacteria like cholera. Pasteur’s work impacted medicine, too. The evidence revealed in the swan-necked flask and discoveries by other scientists convinced more and more doctors that understanding “germ theory” could help their patients. This change in centuries-old thinking helped knock out disease after disease, including one of the biggest killers of all time, tuberculosis. 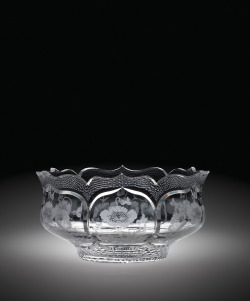 Revealing the Invisible: The History of Glass and the Microscope is open 9am – 5pm every day through March 19, 2017. 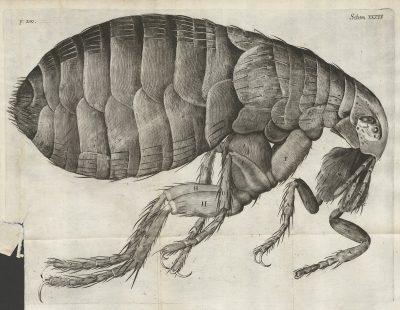 This exhibition tells the stories of scientists’ and artists’ exploration of the microscopic world between the 1600s and the late 1800s. Unleash your sense of discovery as you explore the invisible through historic microscopes, rare books, and period illustrations, and take a #cellfie in the Be Microscopic interactive.